web apps - Vensi, Inc.
Why Web Apps Are Important For Businesses Today? Web apps have become an essential part of every business today. Businesses are now achieving their objectives much faster by developing web apps. These web apps can help to target clients and customers at a time. 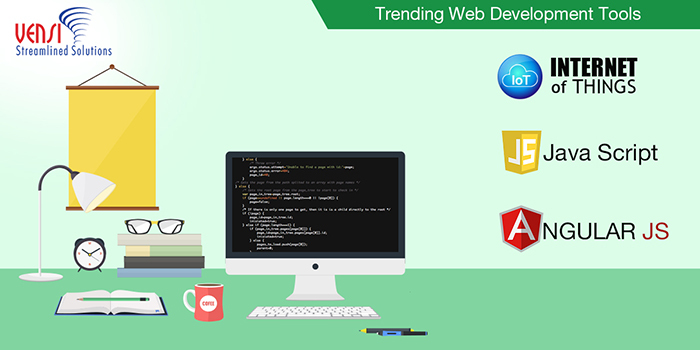 Web developers are developing applications in different aspects, that meet their business demands and showing new experiences for users. Publicity & Branding: It is no longer possible for businesses to see a growth in their market unless they have a web app. Most of the big businesses may be able to afford their own development teams for their business purposes or customized web solutions and small companies outsource the web app development work to specialized web development companies to have the same advantages at a minimal cost. It helps businesses reach new customers, clients and let them know about the products and the services they provide. 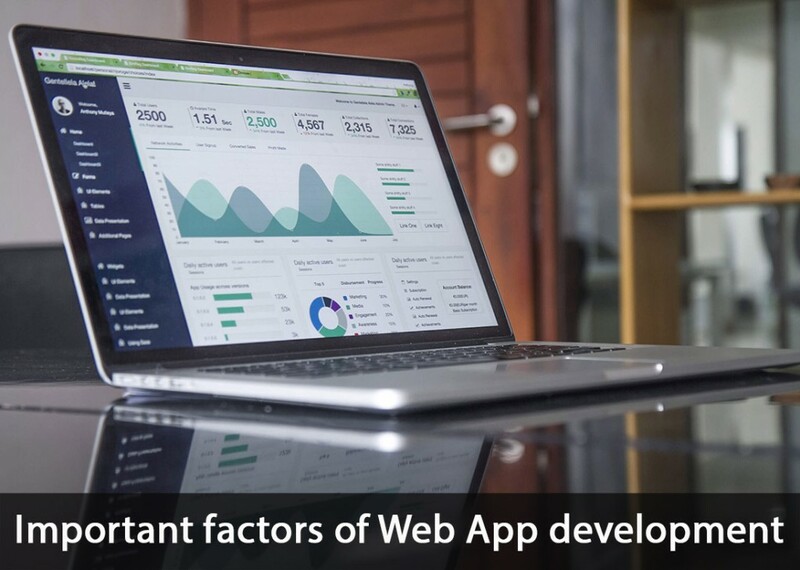 Web apps can play an important role in the branding process and it helps to maintain a proper communication channel between potential customers and the business partners. Distribution of product knowledge can be increased through web apps. Opportunities for selling the services or products are increased as well. At the same time, brand recognition of the organization gets increased and lead generation improves. With the help of e-commerce development, the business can reach a whole new market to increase sales, especially by using android applications. Improved Customer support: Web apps also provide options for enhanced customer support. Good web apps can become the first line of contact between customers and the business. The beauty of such applications is that they can be accessed at any time. 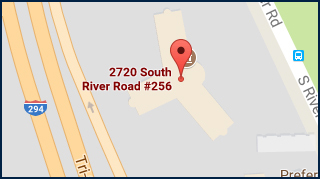 Event location is no longer a limitation with web apps. Specialized web app development companies can ensure such a facility in their web app development strategy. Competitive edge: The present business world scenario has become so strong competitive, that it has become more important to have web apps devoted to the cause of the organization. The web apps can become an essential tool for reap new customers. With the help of iOS and Android development for the applications, the business can use smartphones to market their goods with a significant competitive edge. Most business activities are all becoming virtual, it means, there are huge opportunities for web apps in every growing business, those apps helps users for many tasks to get things done with convincingly. We at Vensi provide customized web app solutions to perform all your business activities effectively. So, if you are trying to move your business activities in virtual, contact us to get a free guide which allows you to create a successful web app. Bluetooth technology is making very excited, almost everyone, like tech users, developers and manufacturers, it is bringing lots of innovations by transforming day-to-day objects into IoT devices for better life. Until now, we have had the ability to interact Bluetooth devices using only native apps. Google Chrome’s web development team regularly implement new APIs to extend new possibilities for web apps to behave an equivalent to that of native apps. Web Bluetooth API is targeted to change native app scenarios and brings Bluetooth device interaction into web browsers. Web Bluetooth allows web developers to use Bluetooth to communicate with smart Bluetooth Low Energy devices. Similar to the Physical Web, users can interact with IoT devices when they are in range of the device. Web Bluetooth is a draft API, that allows a user to scan and select any local IoT device within range from a web page. 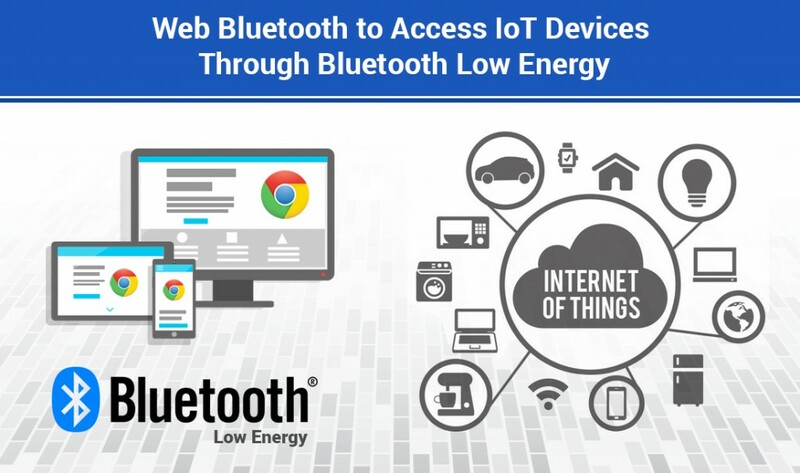 Once the user selects a device from multiple IoT devices, a web page can directly control a device via Bluetooth Low Energy. The latest Google Chrome update has an Android enabled web Bluetooth to control IoT devices. To learn more, take a look at our previous blog post “How Bluetooth Low Energy (BLE) supports Chrome to communicate with devices over IP”. Communicating with Bluetooth devices through a web browser provides a great opportunity for companies to launch new IoT devices. They can spend more time and money on new product development instead of a native app for different platforms. More sensitive web APIs are switching over only to the HTTPS mode. The Web Bluetooth API is no exception, it works only on HTTPS pages. The API will not work in the background without a user approve. The user can choose a Bluetooth Low Energy device to pair with it. Once the user is connected to a BLE device, it should gather data and connect to the BLE devices. BLE provides most of its functionality through key pairs provided by the Generic Attribute Profile (GATT). 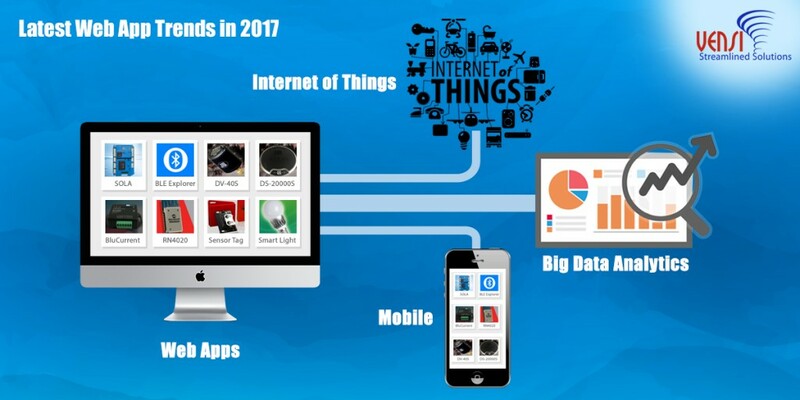 Web Bluetooth provides endless opportunities for IoT device manufacturers. We at BlueApp.io support Web Bluetooth to access IoT devices without downloading any specific native app for IoT device.